A Volcano, a Cloud Forest, and a Beach. A True Taste of Costa Rica! This 10-day Costa Rica adventure combo combines three unique, boutique hotels in three great locations. This allows you to experience a wide variety of destinations, landscapes, and climates while minimizing travel times. 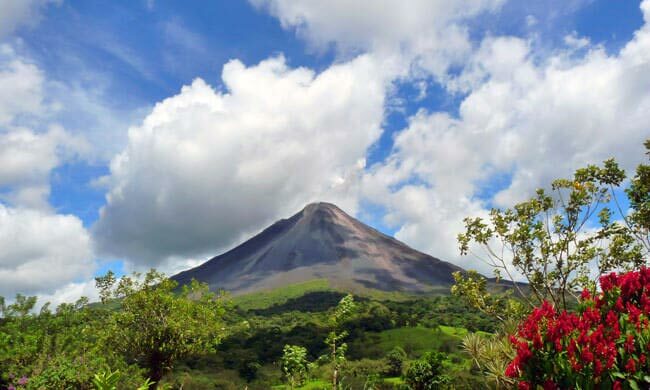 You’ll first visit the famous Arenal Volcano area, staying at boutique hotel Arenal Kioro. Known for its amazing volcano views, on-site hot springs, and personal service, it’s an ideal location for some light adventure and relaxation. Experience the rainforest via gondola ride, zip line, and trail with hanging bridges on the exciting Sky Tram Combo tour. From here you’ll head to Belmar, a boutique eco-hotel up in the cloud forest of Monteverde. This family-owned property has an Austrian Alps-inspired theme with floor-to-ceiling windows that bring the outdoors in. Walk to the waterfall lookout and peaceful pond on the nature trails that wind through the nine acres. 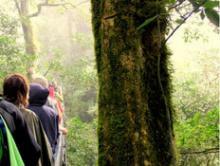 Enjoy a guided cloud forest tour where you will discover the secrets of this magical place. For the final part of your stay, relax at the beach in the luxurious, ocean-view boutique hotel Villa Buena Onda in Playas del Coco. Large bedrooms with stunning ocean views of the Papagayo Peninsula and a beautiful, two-tier swimming pool create a relaxing, romantic environment you won’t forget. 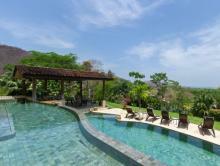 Have the helpful staff set up a tour or just enjoy the solitude at the villa. 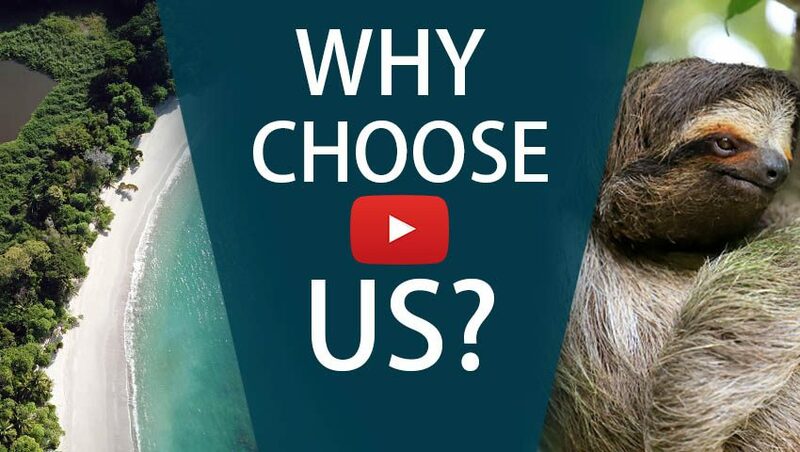 Be sure to visit the exclusive facilities at The Club at Coco Bay and the Beach Club at Playa Ocotal—free during your stay at Villa Buena Onda! 4 nights at Villa Buena Onda—including three a la carte meals daily & a total of $120 bar credit. Our team will meet you at the airport, and after a scenic drive, you’ll be sitting comfortably looking out at the Arenal Volcano with a delicious cocktail in your hand. 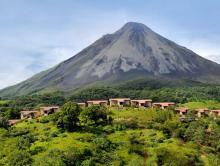 Stay at the luxurious Arenal Kioro Hotel, with a front-row view of the mighty volcano. Enjoy exploring the area on your Sky Tram Combo tour. Relax in the hot springs, get a great massage in their spa, or have another adventure like horseback riding or white water rafting! A private transfer will take you to the Belmar Hotel. Spend the drive to Monteverde taking in the picturesque Costa Rican countryside. Belmar is a great place to view wildlife with their floor-to-ceiling windows. Get out and explore this unique area on a cloud forest tour where your knowledgeable guide will point out things you may miss on your own. Take a two-and-a-half-hour transfer to Villa Buena Onda. Enjoy stunning ocean views and upscale lodging at this boutique, adult-only hotel. With meals included, a free $150 bar credit, and attentive staff, you won’t have a worry in the world! Explore the nearby local beaches—you can find both popular spots and places that seem undiscovered; go sailing, try scuba diving, enjoy a couple’s massage, or just relax by the pool with a cocktail. Feel the romance in the air as you receive world-class personal service. Don’t forget about your $120 bar credit! Finish off your vacation by visiting The Club at Coco Bay—free during your stay at Villa Buena Onda. Take the complimentary transportation from the Villa and enjoy members-only access to the tropical pool, tennis courts, yoga pavilion, and full-service restaurant. Further down the road and steps from the tranquil, black sand beach of Ocotal, you’ll find the Beach Club. Take a short, 20-minute private ride to the Liberia International airport for your flight home. 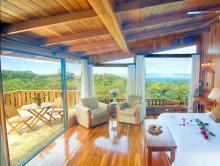 Family-owned, boutique eco-hotel, offering nine acres of pristine cloud forest with serene nature trails.